Plan well and get more travel for your money and be better protected on the road. For years we’ve been sharing tours and cruises with no or low single supplements on our Deals page. We’re now curating interesting and inspiring travel resources for independent solo travelers as well. This page is just getting started but, hopefully, you’ll find something that makes you want to pack your bags. Let me also mention that some of the links on this page are affiliate links meaning that Solo Traveler will receive a small commission when you make a purchase. Your price is the same as always but you’ll be helping make Solo Traveler possible. 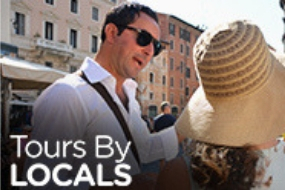 Find and book private tours with local tour guides anywhere you travel! 4000 Experienced, safe and reliable guides to choose from in over 150 countries, worldwide. 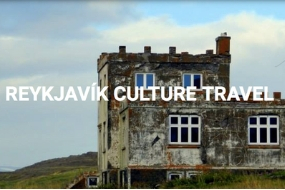 Iceland is the perfect destination for solo travelers. Imagine enjoying nature, culture, history and excellent culinary experience. We offer these tours and much more. 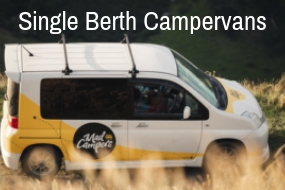 New Zealand’s FIRST single berth self-contained campervan especially for our solo adventurers! A better vehicle experience whilst saving money AND reducing your impact on the environment. 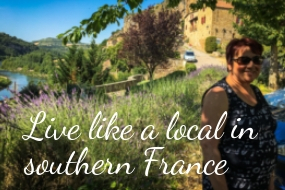 A 7-week Solo Travel Course Delivered by Email. 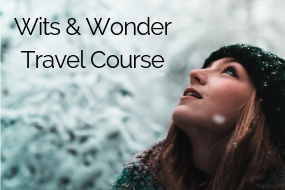 79% of respondents said they are likely to recommend the Wits & Wonder Travel Course to a friend - many already have. Lastpass is my absolutely favorite app. I use it multiple times every day. When I'm traveling, I use it with my VPN on. As the name suggests, you remember one password to get into Lastpass and it holds all your passwords. My tech guy who is hyper security concerned, recommends it. As of today’s date the service costs $24/year. You add the app to your computer, phone, and tablet. When you go to a site that requires sign-in, it takes care of it for you. Your passwords are not held on your device so they can't be stolen. My most recent analysis of travel insurance benefits and pricing surprised me big time. World Nomads is the coverage I like. Read Going Alone? Travel Insurance is a Must for my analysis. I use public WiFi as I travel and I use StrongVPN to protect my identity as I do so. I simply turn on the VPN and to safely use my credit card or do banking over public WiFi. It's easy to set up - just a bit of software you download onto your computer, phone or tablet. Read VPN for Travel: What, Why and an Easy Setup Guide. Another alternative for travel insurance, especially for older travelers is RoamRight travel. Read Best Travel Insurance for Senior Solo Travelers for my analysis. VRBO.com is like Airbnb however, I have sometimes found better deals on VRBO. I check both. Here's an example. This small studio in a great Manhattan location is just $100/night when I checked. One thing to note about booking on VRBO and every apartment site is the cleaning fee. Apartment sites are not a great option for only one night. Tracey and I use Booking.com. We always check a second site to ensure that it's offering the best deal possible but generally it is. If you have a loyalty card with a specific hotel chain you may be better off booking directly with them rather than through any booking site. 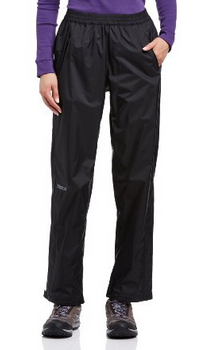 And the rain pants to go with the jacket. I use the Skyroam hotspot for travel out of Canada. After purchasing the unit, you pay $8 a day for unlimited data. You can connect up to 5 devices to Skyroam and it crosses borders with no SIM card, no hassle. 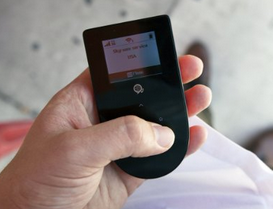 With Skype and What'sApp on my phone I can call, text and go online.. Skyroam hotspot. Pay-as-you-go for global travel. My Swiss Gear carry-on has been through Europe, India and other parts of Asia, and most of North America and it has performed flawlessly. The zipper is strong. The wheels are great - and I've dragged it over seriously tough terrain. I swear by Swiss Gear. Here's a link to a variety of their products. They know rain in the UK. If you’ve ever traveled in Manchester, or Seattle or Vancouver... for that matter, you know the term ‘water resistant’ just won't cut it. 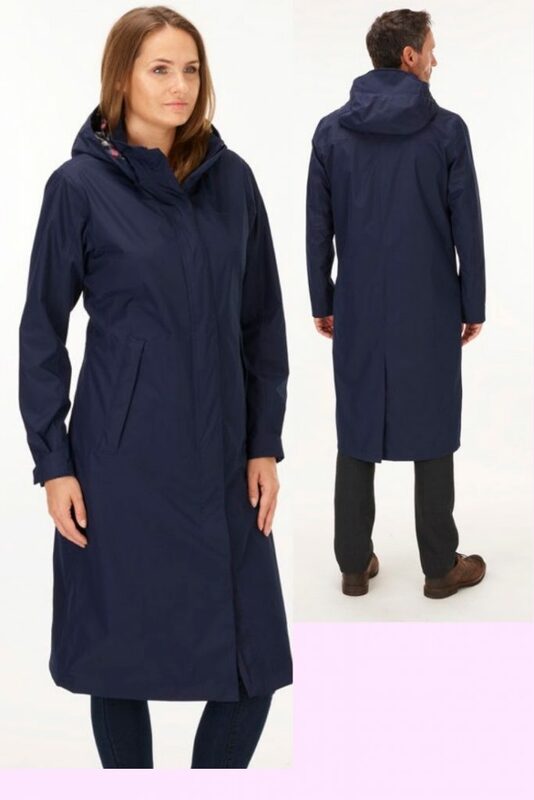 This coat is made from the same high-spec Barricade™ technology that's used in specialist outdoor jackets. Get it from Rohan. 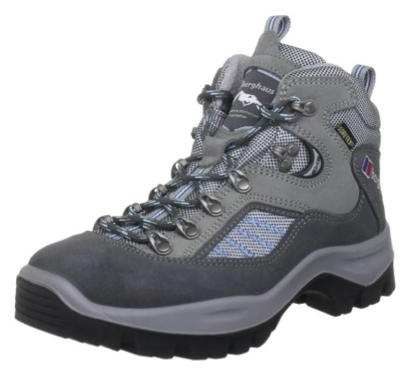 I loved my Merrells. But since a knee injury it's all about my Eccos. 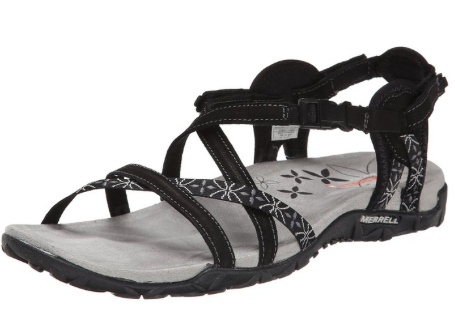 I've had a number of pairs of Merrell sandals in my life and I have found them to be comfortable and durable. But after wrecking my knee I need a sandal with more support. I now wear the Ecco Yucatan. 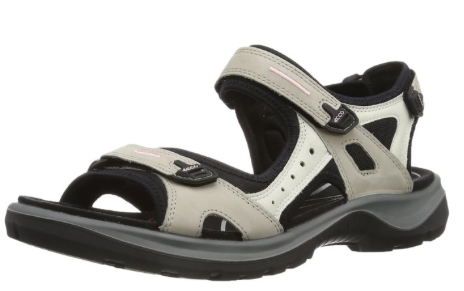 The Merrell Sandals here. Here's my ECCO Yucatan Sandal. 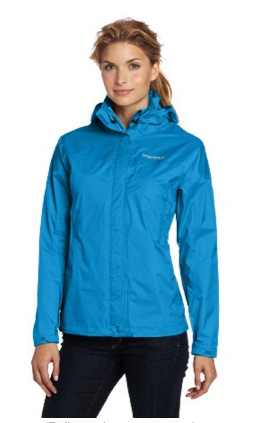 I walked out of the store onto the trail in my Berghaus. 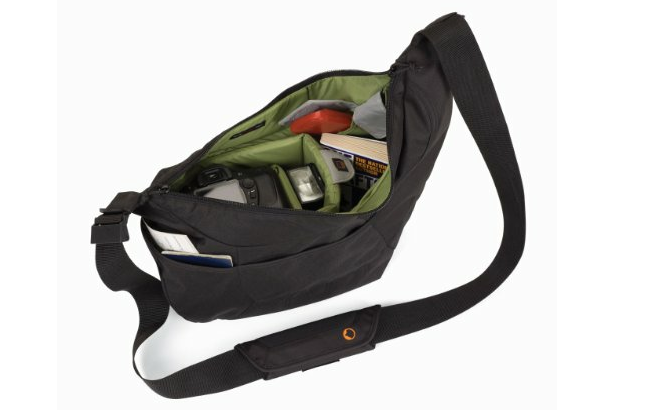 This is a great camera bag. 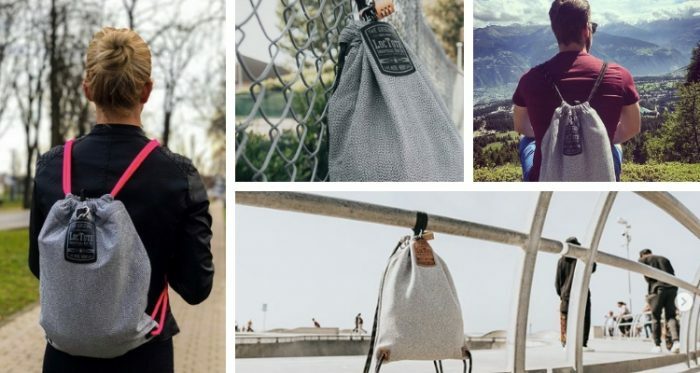 The Loctote antitheft sack is a safe and it's a backpack. Take it with you or leave it in your room locked to an immovable object with your valuables inside and everything will be safe. Available on Amazon. 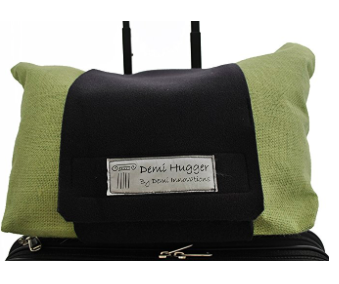 Demi Hugger is a travel strap. Sounds simple but it's really, really useful. 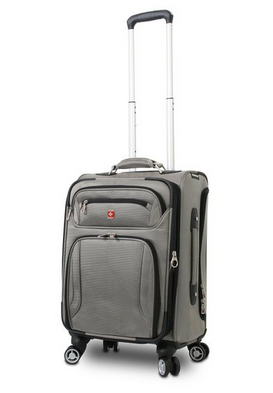 It securely attaches most travel items such as a backpack, laptop bag, purse, shopping bag... to your roller bag making carrying all your gear easy. Get the Demi Hugger on Amazon. 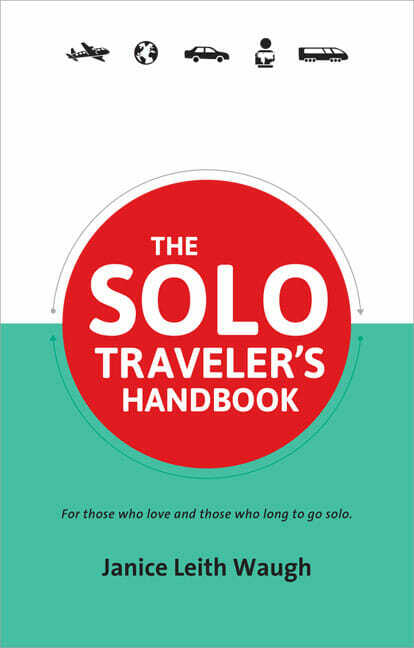 The 2nd edition of The Solo Traveler’s Handbook offers more stories and tips on solo travel fun and safety. Part how-to manual and part travel literature, it will help you venture out with confidence to discover yourself as you discover the world! Everyone has their favorite booking engine. My current favorite is FlightNetwork as it's saved me a lot of money in the last couple of months. Always check the prices with the airline's site. This has save me a couple of hundred dollars before. By the same token, booking on FlightNetwork once saved me almost $200 over the airline site. Before you book your flight you might want to have a read of How to Get the Best Deal on Flights. RailEurope for booking train travel in Europe. You can get your Eurorail Pass or passes to just about any country or combination of countries. Amtrak for travel throughout the US. Via Rail for train travel in Canada. Auto Europe - as it sounds, they specialize in Europe. Avis Rent A Car - Avis is an American household name that you can rent from all over the world. Zip Car - You get a membership and then rent a car by the hour or the day with gas and insurance included. It's a great deal, especially if you don't have a car at home and make use of Zip Car there and on your travels. Sixt Car Rental - for just about anywhere in the world but especially for Europe. They boast high-quality cars at low prices including the world's largest BMW and Mercedes Benz fleet. City Pass - for travel in the US and Canada, City Passes will give you up to 50% off admission to major attractions in 12 major cities in North America including New York, Chicago, San Francisco and Toronto. Go Card - for travel in the US, Go Cards promotes discounts up to 55% off admission to major attractions. They also cover 12 cities, some of which are the same as City Pass but some are different. They also have a cards for all of Florida and all of California. City Passes and Other Deals in the UK and Europe. TicketBar has set up a page specifically for Solo Traveler with lots of special deals for over 40 cities. They have the London Pass, The Paris Pass... Have a look. Booking.com offers hotels, hostels, B&Bs and boutique hotels. Studies show that it offers the widest range of budget hotels as well as luxury. VRBO is similar to Airbnb but tends to include more holiday condos and resort rooms. 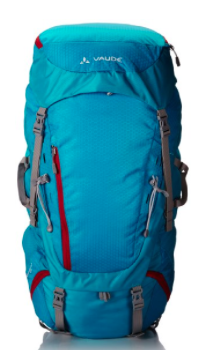 I used it for a stay in Kauai and got a great deal. Bed & Breakfast.com is a great option for B&Bs which are simple, local, friendly places to stay. Hostelworld is a great resource for hostel reviews and booking. Airbnb is well known for booking apartments, homes or rooms. Click here to book and you'll get a $25 credit. Homeaway is yet another option similar to Airbnb. Please note that if you click and buy any of the products on this page we'll receive a small commission at no cost to you.